William Martin. Statesmen of the War in Retrospect. 1928. American Intervention. Peace on the Way. IT WAS THE PRIVILEGE AND THE GREAT MERIT OF AMERICAN democracy on each of the three occasions of national crisis which it has traversed to produce the man of outstanding gifts whom the nation needed: Washington, Lincoln, Wilson. It is not for us to say which of them will in the long run appear the greatest in the eyes of his fellow citizens. But it was Wilson, beyond a doubt, who exercised the most profound influence upon the history of the world. There is an infallible sign by which we may recognize great men: namely, grave circumstances magnify their stature. The War submerged all our European statesmen---one may say, without exception; alone the personality of President Wilson was made to look infinitely more impressive by this formidable ordeal. In the Presidential career of Woodrow Wilson we must note two phases. The first was what we may call the American phase---that tremendous parleying between the President and the people which lasted nearly three years and ended in the declaration of war on the 6th of April, 1917. The second phase, which we may call the European, was that during which the President of the United States exercised over our Continent a greater moral influence than ever before belonged to any one man. To us Europeans it seems that President Wilson's career is to be explained primarily by the thoroughgoing knowledge he possessed of his own race. We are aware that Americans are not agreed upon the subject. Some of them accuse him of having been a party-man and an autocrat. Assuredly President Wilson was conscious of his powers and made full use of them. But he never was blind to their source; he realized that he could do everything with public opinion behind him, and nothing without it. His rule, absolute seemingly, and authoritative in its acts, was, in all the full meaning of the term, a rule of public opinion,---a democratic force. Elected in 1912 by a kind of fluke, Wilson devoted the first four years of his presidency to internal reforms of a social character, destined to ensure him popularity. Then, on the solid basis thus constructed for his authority, he launched his country on the greatest adventure in all history. Misunderstood and undervalued throughout three years, President Wilson conducted the foreign policy of the United States with a sense of vision, an energy and a logical consistency that deserved the admiration of posterity. A target for the passionate attack of his opponents and of all those who could not see into his intentions, he did not allow himself to be turned aside from the task he had mapped out for himself. Re-reading now the long series of his messages and notes to Germany on the submarine warfare, one can follow the harmonious and ascending curve of his line of thought. These documents, which seemed so utterly feeble and for which Europe had not sarcasms enough, were, on the contrary, masterpieces of moral dialectics and political tactics. They attained their dual object, which was to convince the American public of the necessity of entering the War and the German public of the injustice of their cause. In America, as in Europe, the reproach has been brought against President Wilson that he delayed his intervention in the War too long: this is to misunderstand the conditions of his task. The American public felt for European entanglements an instinctive horror traceable to a dictum of Washington's. A premature decision, the meaning of which the people could not have grasped, would have met with sullen resistance or violent opposition. The country would have been divided and American intervention would therefore have been ineffective. The president's great power lay in the fact that he had evolved with his people. At first he was opposed to the War, but by degrees and not without severe searching of conscience he came to see that it was necessary. This internal conflict was the source of the moral strength that inspired his people to follow him. President Wilson rendered Europe a much greater service by taking his time and leading his people gradually to view the War, as he himself viewed it, as a crusade. It was only in this way that his intervention could have its moral and material effect. Once in the War, President Wilson immediately took in hand its spiritual control, by reason less of the material resources at his command than of his political program, the wide range of his horizon, the clearness of his ideas, the loftiness of his thoughts. The intervention of the United States did not merely modify the perspective of the War, ruining the hopes of Germany and making up for the defection of Russia. It changed the moral orientation of the conflict from top to bottom, bathed Europe in a flood of new idealism and gave new life to the cause of the Allies by identifying it for good and all with the cause of Liberty. Germany had entered into the War in 1914 to upset for her own benefit the diplomatic and military equilibrium of Europe; she wished to insure the peace of the world by methods of her own, to the exclusion of the liberty of others. That was the idea expressed by Von Bethman-Hollweg when he said, in a naïve phrase, that Germany was ready to place herself "at the head" of the League of Nations. President Wilson saw clearly that this German conception of European hegemony was in its essence one of never-ending war. Europe has never borne with hegemony, neither under Philip II, nor under Louis XIV, nor under Napoleon. How could it have borne with hegemony under William II? All dominations provoke coalitions. In fighting to bar the road against German hegemony President Wilson fought to win for Europe a lasting peace. His war was an affirmation of the solidarity of mankind. From this, people have drawn the conclusion that it was an entirely disinterested war from the American point of view. President Wilson would certainly have rejected a piece of praise which would have involved a grave accusation. For the first duty of a statesman, faithful to his oath, is to safeguard the interests of his own country. But in this world of ours, human solidarity does not stop short at national frontiers. Isolation nowadays is an illusion and an impossibility. I remember once asking the American Senator James Reed this question: "Do you believe that isolation is possible for your country!" "Of course," he replied, "we do not want to be isolated from the world trade." Diplomacy is the guardian of commerce, and a country cannot isolate itself politically if it does not want to be isolated commercially. It was, in the first instance, the freedom of the sea, i. e., the safeguarding of American commerce, that drew President Wilson into the War. But maritime commerce is to be safeguarded not only on the sea. Commerce demands peace. Its interest is that peace should reign all the world over, and above all in Europe. The President, therefore, decided on one single war aim, at once selfish and altruistic: the establishment in Europe of a lasting peace. But that, some one will say, was an idea common to all the belligerents. No one ever fights except for peace. Yes and no, for if all wanted peace, almost all pursued some other aim in the War---the recovery of Alsace-Lorraine, the restruction of the German navy, the winning back of the regions torn by Austria from Italy, etc. The United States alone entered into the struggle without any other objective than peace and with a clear view of the essential conditions. "The United States," President Wilson declared, "will go to the Peace Conference resolved to ask nothing for themselves and to prevent any one else from getting anything." The League of Nations, in the view of the President, was not a more or less theoretical and personal conception. It was the logical and necessary consequence of his intervention, the actual realization of his war aim. It is strange to reflect that this man whom Europe so often accused of lack of comprehension, whom she so long misunderstood, first flattering him, then calumniating him, but never understanding him, was the only one who really divined Europe and her needs! President Wilson had one precursor in history, Alexander I of Russia. Russia was scarcely less remote from western Europe in 1815, scarcely less foreign to its preoccupation than is the United States to-day. At the Congress of Vienna Alexander played the rôle which was later to be played by President Wilson---the rôle of the disinterested arbiter, faithful to principles, and of the protector to the small nations. His prestige was immense. Women fainted from emotion at the very sight of him. Unfortunately Alexander I did not remain faithful to his mission; he sought territorial advantages in which his authority at last was submerged. It was quite otherwise with President Wilson. Confronted with men immersed in everyday affairs, absorbed in current events, their eyes riveted on small details, the President had the great advantage of being able to take large views. Standing far off enough to perceive the general in the particular, the permanent in the momentary, the essential in the subsidiary, disinterested enough to inspire confidence, powerful enough to be able to insist on his point of view, President Wilson possessed in addition the talent so rare among statesmen: he knew how to speak to the people. The masses like to be talked to about the ideal. Our statesmen of the old world, inheritors of a civilization colored by scepticism, forget this all too often. American statesmen, whose frequent duty it is to converse with the masses, remember it. To President Wilson's mind, steeped in Puritan tradition and influence, there came quite naturally the words which, after prevailing on the United States to enter into the War, were to prove equally efficacious in bringing about peace in Europe. In order to realize nowadays the effect which President Wilson's messages had in Europe, we have to remind ourselves of the state of exhaustion we then were in. Years of mourning, of anxieties, of privations, had ended by exhausting our energies and lacerating our nerves. It was at a moment when the end of the struggle could not be seen, on the morrow of the Russian Revolution and of the check to Germany's submarine warfare, that President Wilson brought to the Allies the strength to achieve victory and to the Central Powers the hope of being given justice. The Fourteen Points, an outline of an ideal organization of the world, went to the heads of the peoples after their long fast. It was the Fourteen Points that overcame the resistance of the Bulgarians, the Austrians and the Germans, that took the force out of the offensive of 1918 and forced General Ludendorf to sue for peace. Finally it was President Wilson who by refusing to treat with the old government drove Germany and her Allies into revolution. However great may have been the exhaustion of Germany it is probable that in 1918, without Wilson, Foch would not have been victorious. For in Germany it was not the army that first gave in, it was the mind of the public. Every effort of the President from then onwards was to be concentrated on the peace negotiations. In coming to Europe, President Wilson did a brave thing. His people did not view with favor a displacement in which they saw the violation if not of a written law at least of a tradition deserving of respect. They feared lest their President might, while away, lose contact with American affairs and preoccupations. In Paris, the President was to run risks of another kind. His authority in respect to European questions did not come merely from the clarity of his views and the breadth of his conceptions and of his political intuition. It came also from his remoteness. The President had been able to proclaim what was right without regard for any one in Europe because he had seen things from without and in perspective, unembarrassed by personal considerations or selfish interests. He had been soaring aloft above the fray. Coming down now into the midst of things, President Wilson incurred the risk of losing some measure of his independence, of being entangled in the intrigues of antechambers and back-stairs, of finding political problems complicated by considerations of politeness and good manners. It is a source of strength for a negotiator to be able to say no on behalf of some one else. President Wilson risked being less strong than at Washington, less strong than his colleagues. If the President, who was not blind to any of these perils, decided nevertheless to cross the ocean, he had peremptory reasons for doing so. To begin with, he had not among his official following any man capable of representing him. It has often been made a matter for criticism that the President acted alone and did not take any one into his confidence; and that he was not able to surround himself with men of the highest order. That, doubtless, was his weak point. But it was the result of the very nature of his thought and of his task. Few of the men around him were really capable of seeing what he saw, of understanding what he understood; not one of them could will what he willed with the same force as he. Hence his isolation, of which as a matter of fact too much has been made. As for his American opponents, in taking them with him to Paris he would have compromised the unity, the cohesion and the authority of his delegation. President Wilson was on this occasion the victim of his own supremacy. The President did not arrive in Europe with fixed ideas about the peace and a determination to insist upon them. He had only one idea and that was that he must keep the promise which was made to the world at the moment the United States entered into the War and for which millions of soldiers had died: that this war should be the last and that there should be a League of Nations. The League of Nations was no invention of his, it did not issue forth, fully armed, from his brain. It is the outcome of the whole economic and political evolution of the nineteenth century. The development of machinery and of means of communication has created needs for all countries, even for the richest, needs in respect to raw materials and markets which bind them together. The law of the world is no longer reciprocal independence but interdependence. The League of Nations had been in existence potentially de facto long before it came into existence de jure. Herein lies the guarantee of its power and its solidity. What it had previously lacked was a spirit forceful enough to deduce from these facts the truth which they embodied. President Wilson brought it this spirit. The League of Nations was about to submit to the Peace Conference two problems, one a matter of procedure, the other fundamental. The President perceived that if the pact were not incorporated in the Treaty of Peace, if the League were not born at once, at the moment when all the Allies needed each other's support, a new war would be required to produce it. Without the League of Nations, moreover, how were the questions involved in the peace to be settled---the question of the Sarre, of Danzig, of Upper Silesia, of the German colonies, of Austria, etc., etc.? And what would be the good of settling them? Would not such settlements be made open to question again almost at once? Before constructing the edifice, they must see to the foundation. M. Clémenceau and Mr. Lloyd George did not see the grandeur of the President's conception. When together, they made a joke of it. In their eyes the only thing that mattered was the definition of the frontier. It was necessary to get ahead quickly, they felt, and impose on Germany a preliminary peace, leaving all other questions for a second Congress, as had been done in 1814. President Wilson opposed this procedure. He wanted to carry the Pact with him back to Washington in February. It was to please him that his colleagues agreed to set up, at the first meeting of the Peace Conference, the League of Nations Commission of which Mr. Wilson himself became president and whose activities he at once set in motion. In thus acting he rendered mankind a service for which he cannot be too highly praised. For he enabled the League of Nations to be constituted at the only moment possible. As to the general problem of peace, President Wilson's ideas, still somewhat vague on his arrival in Europe, came gradually into shape in the course of the Conference, influenced by contact with Lord Robert Cecil and General Smuts. But there was one point upon which the President never changed: namely, that the League of Nations must substitute for the old régime of alliances and of the balance of power (the consequences of which had been periodical warfare), a new system of security. To this end it was necessary that the League should obtain a general and reciprocal undertaking from all the states which were members of it that they would come to the assistance of any country made a victim of an aggression. Over and above this, in order that the undertaking should be made effective, it was necessary that no state should in the future be strong enough to oppose victoriously the action of the League. Hence the determination of the President to oppose any form whatever of supremacy, whether on the Continent or on the seas. On his arrival in Europe Mr. Wilson had no intention of entering into any political or diplomatic maneuverings in his dealings with the Allies. But he could not entirely forget that England was the only country which had dared to oppose his Fourteen Points on an essential question, the freedom of the seas. So he decided to place the British government in a dilemma: a limitation of armaments or a competition in armaments. When the George Washington reached Brest, a French official delegation, which had come thither to welcome the President, went on board. 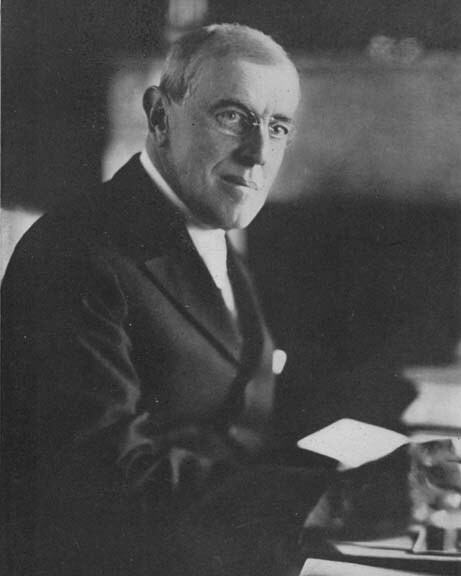 President Wilson delivered a little speech to them in the course of which he more or less suggested that the French and he together should become the arbiters of the world. When a translation of what he said was shown to the French Minister of Foreign Affairs, M. Pichon, who understood no English, he raised his hands to Heaven exclaiming: "Oh, but it will never do to say that! What would the English think?" The delegation went back to the President who replied: "I don't hold by my actual words. Put into my mouth whatever you like." The French did not know how to profit by this attitude of amiability. M. Clémenceau laughed at the League of Nations and he could never resist the temptation of poking fun at this "homme de Dieu," as he called the President. In one speech he spoke of the President's "noble candeur." The word "candeur" has not quite the same meaning as the English "candor" and President Wilson was vexed. Later M. Poincaré said to him: "When you have seen our battle fields you will understand. . . ." President Wilson thought it was intended to give him a lesson. On top of all, Mr. Wilson, who saw in the liberty of the seas the safeguarding of peace and the independence of the nations, was astonished to hear M. Clémenceau declare to him that he would not suffer the naval supremacy of Great Britain, the basis of European security, to be touched. The President began to feel morally isolated in Paris. It was about this time that President Wilson went to England. He was admirably received there. He visited the sacred shrines of his race and was much moved. He was treated by the English with that noble simplicity which is peculiar to them. Mr. Lloyd George in his clever way gave the President all the comforting assurances he needed in respect to the freedom of the seas. The President formed the impression that it was easier to come to an understanding with men of the same race and the same tongue. If it may be said that the Treaty of Versailles was an Anglo-Saxon Treaty that is due in part to the President's visit to England. In President Wilson's character there was a singular contradiction. He was a man of the study. He was often reproached for holding himself aloof. He never felt so fully in touch with his people as when alone. At Washington he saw nobody and played golf three hours a day. In Paris this man who had so solemnly condemned "secret diplomacy" shut himself up for months in a tête-à-tête with a few European ministers; he found them, indeed, too many, and these councils became smaller and smaller and more and more secret. And yet the President loved to address himself to the people. He enjoyed educating the masses. He lived in the illusion that the masses are more pacific than the governments and he tried on several occasions to make direct appeals to them over the heads of their governments. Thus it was that in Rome he affected when speaking in public not to be addressing the government, with which he was at issue over a grave matter. Italy before entering the War on the side of the Allies had concluded a treaty which had guaranteed her certain advantages whenever peace should be made. Now certain of these advantages were contrary to the principles of President Wilson, who, moreover, did not consider himself bound by the treaty in question which he had never signed. Mr. Wilson showed himself generous towards Italy. He accorded her without discussion the Brenner frontier; he is declared not to have known at the time that he was thus giving to Italy, to her strategic advantage, a region inhabited by hundreds of thousands of Germans, and he is said to have been much disturbed when he learnt this afterwards. A day came, however, when he said to the Italians: "So far and no further!" On that day, Italian delegates quitted the Peace Conference. The President had thought he would find more understanding of justice in the Italian people than in Signor Orlando or Baron Sonnino. "Matters await our attention," he said in Rome, "which are more difficult than the matters we have dealt with. For it is easy to talk about Right and Justice, but it is sometimes difficult to put them in practice, and this task will demand a purity of intention and a disinterestedness such as the world has never witnessed. . . . "
Perhaps the President enjoyed the illusion of having succeeded, for in Italy he had been made the object of ovations surpassing anything he had ever experienced elsewhere. But the meaning of these ovations was not what he believed: the Italians, far from being convinced by his words, were trying to win him over. The relative failure of President Wilson in his relations with the peoples of Europe was due to several causes. First of all, he had underestimated the influence of the governments over the public opinion of their countries; secondly, it was impossible for him to make himself understood by peoples whose language he could not speak; finally, his ideas were often forestalled by the Socialists, and he became embroiled unwittingly and unintentionally in the strife of parties. But his most serious fault consisted in not perceiving that in Europe only the small countries could be sincere partisans of his ideas, which were contrary to all the traditions of the great nations. Instead of leaning on the small countries he kept them out of the deliberations and thus deprived himself of valuable support. Nor did the President insist on getting into touch with the representatives of the vanquished powers. He allowed himself to be closeted in Paris with M. Clémenceau. Professor Lammasch, who had been the last President of the Council of the Emperor Charles of Austria, asked the French authorities to give him a passport. He was willing to come to France "between two gendarmes" if only he might speak with the President for an hour. In vain! He did not get it. Finally, the President, who hailed from a country to which the War had not come near, did not take in at first glance the seriousness of the ills it had wrought. He came to Europe not to talk about the War but to effect peace. He said as much in a remarkable phrase to M. Hymans, Belgian Minister of Foreign Affairs, who was seeking for his country the privilege of possessing the headquarters of the League of Nations. "The more you speak of the sufferings of your country," President Wilson said, "the more emphatically I shall declare that the League cannot have its headquarters there. For its task will be the reconciliation of the peoples, and the Germans will never, at Brussels, be able to look other nations in the face." This feeling---a feeling fundamentally right---that his task was the making of peace and nothing else, prevented Mr. Wilson from paying his visit to the devastated region which the French persisted in expecting of him. This was regrettable. For his failure to do so hurt the feelings of France, alienated from him certain sympathies, and made it impossible for him to oppose with the requisite authority the excessive claims of the French delegates in the matter of reparations. President Wilson stamped the Peace with his imprint: all that is best in it is due to him. "I know," he said, "that the Peace is not in complete accordance with the Fourteen Points but I never hoped that it could be more so." Unfortunately the peoples, for their part, did cherish that hope. In the eyes of the vanquished the Fourteen Points, having been accepted by the Allied governments and made the basis for Germany's capitulation, had the character of a mutual agreement and ought, it was felt, to be made the basis of the Peace. They were profoundly disappointed therefore when they found that in regard to many questions such was not the case. President Wilson did not even consent to hear their delegates. The vanquished, having put themselves in his hands, felt that they had been humbugged, tricked, duped. They have never forgiven President Wilson for what they considered a felony. The President committed one other mistake and perhaps a still more serious one in its results: that was in imagining that the peoples were as generous and as clear-seeing as himself---his own people in particular. In reality, he was in advance of his time. This it was that made him a man isolated and apart. He discovered the fact when he returned to his own country. Already in order to show regard for American susceptibilities President Wilson had been obliged to introduce into the Pact of the League of Nations some provisions such as the Monroe Doctrine reservation that were not very compatible with his general principles. On his return home, he found his work cut out for him: he found he had to face the fact that his own people, in whose name he had been speaking, on whom he had been counting, were no longer behind him. It was at this juncture that the full measure of the man was to be taken. Weary and worn by his labors, he did not hesitate a moment as to what was his duty. He undertook to explain to the people direct, over the heads of their representatives, and regardless of parties, what he had done, what the Treaty was, what the League of Nations amounted to. The world has known few finer speeches, better suited to their audience, more reasonable, more convincing, more elevated in tone, than those delivered by President Wilson in the course of his famous tour through the United States. If illness had not struck him down, if he had been able to keep on and continue kindling public opinion as he had done so often, the face of history would have been changed. "We are assisting," he exclaimed once at a sitting of the Supreme Council, "at a race between Peace and Anarchy. Let us so act that Peace shall be the winner!" In this race Peace was obstructed suddenly at the beginning of the winter of 1920 by the most unforeseen of obstacles. The President had been struck down in the midst of the fight. And the direct consequences were the rejection of the Treaty of Versailles by the Senate of the United States, the weakening of the League of Nations, the prolongation of the existing state of political and social insecurity throughout. President Wilson is dead but his work survives him. The influence he wielded over the history of the world has been deeper and more beneficent than that of any of his contemporaries. Most of the faults charged against him were faults which he could not help---and almost everything the Peace contains that is good and lasting and really constructive was his work. The day President Wilson arrived in Europe for the first time, in December, 1918, at the height of his prestige, he said to one of his intimates with an intuition of genius: "I am on the road to my calvary." Alas, it was but too true. But if today his name is uttered with veneration by millions of men, if his tomb has become a place of pilgrimage, and if the League of Nations exists---it is because President Wilson died for an idea! WE HAVE NOW TO TELL THE STORY OF A GREAT friendship. What makes the personality of Colonel House so fascinating and mysterious is that it is composed of contradictory attributes. This modest man is a proud man; this disinterested man has a thirst for power; this taciturn man is open and loyal; this quiet-looking man is a man of passion; this man of peace is a man of adventurous bent. You will find all these characteristics in his memoirs and they are all necessary to explain one of the most singular careers of our time. For, if the rôle of Éminence grise is no rare one in history, if we have frequently seen men almost unknown to the general public exercising almost absolute power in the name of a sovereign, this phenomenon takes on a really extraordinary aspect when it is transplanted into the modern democracy which is fondest of the full light of day. Colonel House is a man of adventurous bent; there was the making of a great military leader in this little man who was called in Paris during the Peace Conference "The White Mouse." From the days of his childhood spent in the confines of Mexico, in regions that were not yet entirely civilized, during and after the War of Secession, he has retained in his mind an inexhaustible collection of tales of brigands and of lawless affrays. At the height of his career he once let fall the remark that fighting between nations was horrible but that it was wholesome and legitimate between individuals. He has retained a peculiar affection for those thrilling boyhood tales of his and enjoys telling them. A certain taste for paradox is to be noted in his telling of these tales. Colonel House has a fondness for concealing his real personality. He likes to be quite different from what people expect him to be. When he visited Geneva for the last time, the Secretary-General of the League of Nations had all the most important members of the secretariat to meet him. Some kind of political discourse, some words of advice and encouragement, were looked for from the man who, to such a great degree, was responsible for the existence of the League, the man who had been President Wilson's inspirer and who was trustee of his thoughts. From the commencement of the reception to the end Colonel House would talk of nothing but his adventurous youth in that American Corsica which Texas then was! Prevented by weak health from giving full vent to his combative tastes, House, when he reached man's estate, turned them to account in political life. There is no field of activity so reminiscent of guerilla warfare. Edward House's poor physique did not allow him to enter into active politics with all their attendant wear and tear in the shape of electoral campaigning and all the responsibilities attached to public office. It was behind the scenes that he satisfied his tastes, and it was behind the scenes that he was to spend the whole of his career. 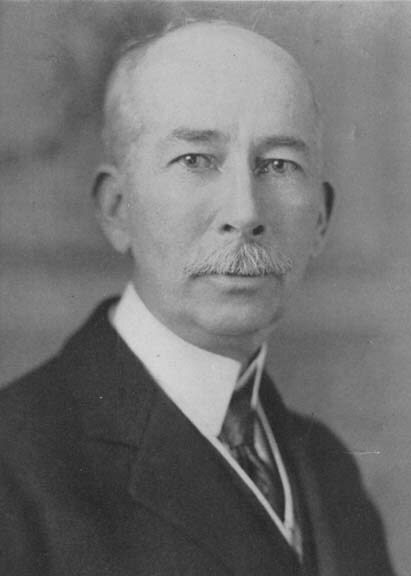 For nearly two decades he was the friend and inspirer of successive Governors of Texas and in particular of Governor Culbertson, who gave him the title of Colonel. House has often made fun of this title which caused him to be taken in Germany for a military officer of note, but he has always found enjoyment in it; and herein we have one more reminder of his boyish propensities. But whatever interests he may have found in the political life of Texas, the time came when it grew to be monotonous; this field seemed to him too narrow and he took it into his head to have a say in the selection of the candidate who was to be "run" in 1912 for the Presidency of the United States. House divined that the electoral situation would be more favorable for the Democratic Party than it had been for twenty years and he resolved to take a hand in this adventure. Without any sort of mandate he set out to find the providential man. He got into touch with all the possible candidates and was not pleased with any of them. Thus it happened that he was led, theoretically at first and without ever having set eyes on him, to espouse the cause of Governor Woodrow Wilson, of New Jersey. When these two men, already united by their political outlook without knowing each other personally, met at last for the first time in November, 1911, the effect was magnetic: they found that they were in agreement in all their ideas, and a friendship at once sprang up between them which was soon to prove of historical importance. One episode at this juncture illustrates well Colonel House's horror of any kind of public action. The Democratic Convention of 1912 at Baltimore was of a very feverish kind; it was only at the 46th ballot that Wilson was chosen as candidate. Colonel House attached enormous importance to this choice. He had been working for it for months. Nevertheless, on the very day the Convention opened he started from New York for Europe, leaving to others the business of completing in public the work for which he had laid all the plans in secret. Wilson, however, did not misunderstand him. It was to House he owed his success and it was to House he gave his gratitude. It was moreover House---an old political hand, which Wilson was not---who organized the electoral campaign and who conducted Wilson to triumph. On the morrow of the vote, he was free to ask anything of the new President, who owed everything to him: he might have become a member of the administration or Ambassador---no post would have been too high for him. Then it was that the depth of his disinterestedness and wisdom was to be seen---a disinterestedness which was to give him an ever-increasing influence over Wilson right to the end of his Presidency. This influence rested at once upon moral qualities and upon intellectual qualities. Colonel House's disinterestedness was absolute and President Wilson knew it. House showed himself not merely disinterested in his refusal of all public offices and distinctions, but also in his readiness to undertake disagreeable tasks and to accept all duties in which his services were really necessary. That is the history of his different missions to Europe, which he often entered upon though it went against the grain to do so. Disinterestedness is not so rare a virtue as it is generally believed to be. But Colonel House displayed in his relations with the President a much more exceptional virtue, that of discretion. He was always ready to give advice. The word "ready" should be understood in all its significance. He had always studied in advance all the questions in regard to which the President might wish to consult him. He knew all the people concerned, all the facts, all the antecedent circumstances, all the wheels within wheels. He was the President's eye and saw everything. He spared Wilson countless hours of wearisome study and the hazards of decisions which a man has to make without feeling that he has mastered the whole subject. For President Wilson, House was an admirable preparer of the ground. But when the President did not question him, he held his tongue. He never proffered his advice or took the initiative in any steps. His little office in Thirty-third Street in New York was connected by special wire with the President's private room in the White House. He could telephone at any moment and secretly. But he never rang up. The day the Lusitania was sunk some of his friends rushed in to see him, urging him to make the President do this or that. "I shall not move in the matter," said House. "If the President has need of my advice, he will ask for it; if he doesn't want it, I shan't give it." One must have extraordinary self-control to be able to hold aloof when there are at stake questions of such importance and ideas by which one sets great store. Unselfish in his private capacity, House was by no means indifferent and detached in regard to the joys and sorrows of this world. He knew how to put extraordinary passion into his work. "The life I lead," he used to say, "beats all novels in respect to interest and excitement." "This problem," he said once to Wilson, "is fascinating and of enormous importance. I would like to see it settled to the eternal glory of your Presidency and of our American civilization." This man, working enthusiastically for the good of the public, ambitious for his friend and for his country, was always able to maintain silence when the President did not seek his advice. From an intellectual standpoint, Colonel House possessed both information and judgment. It was his judgment which Wilson began by appreciating and above all his understanding of men. House was of great use to him in the composition of his administration, no easy task as the Democratic party had not been in power for twenty years. Above all, House protected him from hundreds of applications. He saw people on the President's behalf; he took upon himself the ungrateful task of saying no. Ambitious on behalf of this Democratic President, alike from party spirit and from a feeling of personal friendship, House wanted to see Wilson achieving great things. How would this have been possible for Wilson had he been absorbed all day in minor matters? House took these minor matters in hand. "He has the opportunity," he wrote on November 4th, 1912, "to become the greatest President we have ever had and I want him to make good. He can do it if the office-seekers give him leisure, and I am going to try and help him get it." Such a plan, however generous in its motive, is apt to be not unattended by dangers. It was to have certain unpleasant consequences for Wilson side by side with its great advantages. President Wilson's isolation has often been deplored. That isolation was due, at least in part, to the vigilance of House, who allowed only interesting people and useful affairs to reach him. Now, however skillfully such a process of selection may be carried out, it is bound to diminish somewhat a statesman's contact with the world and to rarefy the atmosphere in which he lives. Secondly, the individuality of the Colonel and the part which he played created difficulties for the President within his administration. That was fatal. President Wilson had, if not two policies, at least two diplomatic systems. One portion of public affairs went through the Department of State and the Ambassadors. But the President had a profound distaste for the diplomats, and everything that interested him personally, everything that had a political bearing, was dealt with by Colonel House and by himself. Despite all the good will of individuals it was inevitable that certain clashes should result. Two Secretaries of State in succession, Bryan and Lansing, came into conflict with the President from causes not solely connected with the presence of Colonel House but due in large measure to him. During the Peace Conference the relations between House and Lansing had gradually become very bad and were the cause of innumerable difficulties among the members of the American delegation. Each had his partisans. Lansing's said: "House is a Rasputin; he has bewitched the President." Those of House said: "Lansing is the President's evil genius. The Colonel is busy all the time making good his mistakes." Unfortunate conditions, it will be agreed, for working in unison for the peace of the world! The rôle of Colonel House was to undergo substantial changes in the course of the years. At first, as we have seen, he was occupied chiefly in relieving the President of wearisome tasks, settling personal matters for him and piloting him in party politics. But the Colonel House who for reasons of health spent several weeks every year in Europe turned out to have many more ideas about international politics than the President himself. Quite naturally, therefore, he began to advise and pilot Wilson in this province also. It was in the spring of 1914 that he was charged with his first semi-official mission to Europe. In London he saw some English statesmen, in Berlin the Emperor William. His idea would seem to have been to bring about a rapprochement between Germany and England; that mission was fruitless, but it put him into touch with the people with whom he would have to deal when the War was on. The President---very American in this---was more interested in men than in abstract ideas, and House, on his return from Europe, notes in his Diary: "The personalities of the heads of governments interest him particularly and in the course of our conversation he told me that my knowledge of these men and of their standing in Europe would without doubt be very useful to him." It has been said that Colonel House foresaw the World War. All careful observers of European politics at that moment felt the storm coming. But all cherished the hope that a miracle would occur at the last moment---all believed that the catastrophe was almost impossible. There is nothing to show that House's mind worked in any way differently. That mission of his and the relations which it enabled him to establish enhanced House's credit with the President and made him the inspirer of the American war policy. During the War he paid several more visits to Europe to study the possibilities of American intervention for the restoration of peace. These visits, if they bore no immediate fruit, were not in vain. They enabled the President to intimate clearly to the Allied statesmen the real aims of his policy. It was in the course of these visits and these conversations that the fundamental ideas were formed upon which House was to base the American war policy, after having first based upon them the American peace policy. Thus it is that we saw evolve and take definite shape gradually in his correspondence the three ideas which he was to defend stubbornly later: the freedom of the seas, the League of Nations, the exclusion of the Hohenzollerns. The freedom of the seas is a traditional item of American policy. President Wilson, who was an historian and who held by the heritages of the past, took a special interest in this idea: "Madison and I," he said once to House, "are the only Princeton men that have become Presidents. The circumstances of 1812 and now run parallel. I sincerely hope they will not go further." In the spring of 1915 Colonel House experienced the surprise of finding the English favorable to the freedom of the seas; the Germans, who were suffering from the blockade, were enthusiastic. This idea seemed to him suitable, therefore, as a first possible basis for peace negotiations. On the other hand, it is in a letter from Sir Edward Grey to Colonel House, dated April 24, 1915, that we first find the expression "League of Nations." As to the notion that it would be impossible to make peace with William II, it germinated in the Colonel's mind in the course of his second visit to Berlin. On January 27, l916, Ambassador Gerard told House that the Emperor had said to him: "I and my cousins George and Nicholas will make peace when the time comes." The Emperor had uttered many other follies, and House notes: "I am wondering how long any part of the world will continue to be ruled by such masters." The only point on which House and Wilson were not entirely agreed in the course of these years was in regard to military preparedness. House quickly realized in the course of his missions that the President's advice respecting peace would be better listened to if the United States had at their disposal an armed force capable of weighing in the balance. He had felt revive in him, as it were unconsciously, the memories of the military ambitions of his youth. This man, for whom political life was probably only a make-shift, felt within him now the soul of a Napoleon. "The Americans," he would say, "would probably have changed the course of history if, at the beginning of the war, they had armed to the teeth, ready to intervene at the opportune moment. That, I believe, was our great mistake, for Germany and the Allies would have given attention to our threat of intervention and, well prepared to fight, we could have imposed almost any conditions of peace we pleased." Events were to force President Wilson to accept Colonel House's view. In the course of the years these two men, always in agreement as to the measures to be taken, ceased sometimes to be so as to the goal to be aimed at. The President still wished, if it were possible, to avoid the gravest decisions. "The President," wrote Colonel House on April 2nd, 1916, one year before the United States entered the war, "allows himself to be so dominated by his tendency towards inaction that he hesitates to make a move. But if only he would do so, I have full confidence that he will pursue his course in a way that will do him honor." Colonel House's rôle would seem to be attenuated a little during the War when military preparations were all that mattered. He did not, however, remain inactive. He did a thing which was in entire keeping with his character---he prepared for peace. While the other countries, entirely absorbed in the War, scarcely gave a thought to what should follow, Colonel House collected round him a staff of workers of the highest order to study all the questions which might arise at the declaration of peace and to prepare all the necessary documents for the President and his associates. This staff was later to form part of "the American Commission to negotiate Peace." But if all these men worked under the orders of Colonel House, the Colonel himself did not allow his mind to be absorbed in their labors. When Germany asked for an armistice, he embarked almost immediately to come and represent President Wilson at the Inter-Allied Council. This was the first official post which he occupied and almost the only one. In Paris and at Versailles, Colonel House worked, as was his wont, modestly, silently, efficiently. He had at last behind him that formidable armed force of which he had dreamed and which gave weight to his words. President Wilson had quite made up his mind not to treat with the Kaiser; Colonel House encouraged him in regard to this. It may be asked whether they were not mistaken. As it was desired to impose upon Germany a pitiless peace, it would have been more logical to treat with those who were responsible for the War. However that may be, House reckoned that in the armistice one single clause sufficed---the dethronement of the Kaiser. For the rest, the military situation and the word of the United States should be enough for the Allies. The latter were of a different opinion. They wished to avail themselves of the armistice to secure safeguards. The dynastic question, on the contrary, did not seem to them to have a military aspect. Colonel House did not persist. "Do as you like, we will sign everything," he said to them. "All we are interested in is the peace." The Allies took him at his word; they went to work with a will and made the armistice as severe as they could. On leaving the Council room, Colonel House rubbed his hands together. "They haven't noticed," he said with a laugh, "that they have dethroned the Kaiser." The Colonel's rôle at the Peace Conference is blended with that of the President and it is difficult to distinguish between them, for they were agreed on all essentials. House wished the President to come to Europe. He approved of the President's policy in regard to Italy and never ceased to inspire him in all that regarded the League of Nations. For him, as for the President, the League of Nations had to be a purely moral force. The League, he contended, bore its sanction in itself; the unanimous public opinion of the world was a sufficient force to win respect for it. What was necessary was that all the nations of the world should learn to think aright. Perhaps the Colonel's most important function during the Peace Conference was giving interviews in the President's place, as he used to do in Washington to the innumerable persons who wanted to see him. As is known, the neutral countries were not allowed to be represented at the Conference. This was due to a decision which Colonel House himself had urged upon President Wilson at the time when the United States, still neutral, was offering her services towards the ending of the War. "It will be a matter of course," he had said, "that only the belligerents shall take part in the Peace Conference." He did not change his opinion at this point. But among the neutral countries were some which had important communications to make and useful advice to give, especially as regards the elaboration of the League of Nations Pact. It was Colonel House who served as intermediary between them and the President; in practice, the neutrals were as well situated as many of the belligerent states which were unable, although members of the Conference, to make their voices heard by the Council of Four. Colonel House relieved the President also of certain decisions which, although very important in themselves, did not call for the personal intervention of the head of the state. Thus it was that he came to occupy himself with the selection of the city which was to be the headquarters of the League. The choice of a neutral country and in particular of Switzerland---the only country which was suitable from its geographical situation---was easy. But there was long hesitation as between Geneva and Lausanne. Like all persons of delicate health, Colonel House attached great importance to climate, all the more that he contemplated having to stay frequently himself in the town selected. He had been assured that the climate of Lausanne was the better and this argument had impressed him. One day, however, seeing a native of Geneva enter his room, he exclaimed: "I have come to a decision at last. We shall go to Geneva!" On being questioned as to his reasons for this sudden change, he replied: "The waiter who brings me my chocolate is a Vaudois. I asked him: 'Which is the better town to live in, Geneva or Lausanne?" He answered: 'Geneva. Lausanne is too hot in summer.' "
Colonel House proceeded to constitute the sub-committee which was to present a report calculated to ensure unanimity in favor of Geneva. After the sitting at which the matter was settled, a Swiss delegate thanked him for his intervention and said to him that he would one day have a monument erected in his honor on the shore of the Lake of Geneva. He replied that it was not worth while and that Paderewski had already promised him one in Warsaw! "But," he went on, "I think I might ask for one to the memory of my waiter at the hotel. He certainly deserves one." Relations between the President and the Colonel were slightly strained when Wilson returned to the United States from Paris in February, 1919. He thought that during his absence, Colonel House had allowed himself to be carried away by his instinct for conciliation and that he had yielded too much to the European statesmen. The breach widened when upon his return to the United States he had to make a determined struggle in favor of the League of Nations Covenant. House, with his politician's instinct, was disposed to make certain concessions, to agree to certain restrictions. The President, who was not on good terms with the Senate, preferred to force its hand by leaning upon the people and thus to enter upon a frontal attack along the whole line. It is impossible to say which of the two was wiser, for who can tell what would have happened had Wilson not been struck down in the course of the campaign? Since then, Colonel House has retired into the background ---that background out of which he has never in the whole course of his career sought to emerge. He has closed the prodigious parenthesis in his life which was opened by the election of Woodrow Wilson as President of the United States. But this does not signify that he has lost interest in the fate of the work. One day, after having hesitated for long, Colonel House came to Geneva. He wished to pass unnoticed as he has always wished to pass unnoticed everywhere. He visited the secretariat; he read the words on the commemorative plaque which does honor to the memory of President Wilson. He did not disguise his opinion that the work done by the League was not what he had hoped. He had wanted to build up a vast international city---and he found an old hotel marked by dissensions amongst its occupants. But, however disappointed he may have been, Colonel House has too much political and philosophical wisdom not to realize that where there is a seed at work there is life and hope. Death alone is immutable and irreparable. FOR CHARLES OF HAPSBURG TO BECOME EMPEROR OF Austria and King of Hungary, the suicide of the Archduke Rudolph, the assassination of Francis-Ferdinand and the premature death of his own father had to take place. This explains why the young sovereign was not prepared for the overwhelming burden that was unexpectedly laid upon him. He was at that time a tall young man, attractive, intelligent, idealistic, and warm-hearted, but superficial, somewhat illogical, and profoundly influenced by four women: the Empress, his mother, his grandmother and his mother-in-law. He had perhaps a certain force of character, but the difficulties he encountered in the form of circumstances and persons were beyond his strength. His chief difficulty was that he could not find among his advisers the new type of statesman that a new policy demanded. Having no technical knowledge and knowing nothing of the majority of the questions with which he had to deal, he was unable to gauge the importance of the obstacles in his path or to uphold his own opinion against those of his advisers or his wife, who was much more intelligent and self-willed than he. His reign, short and tragic as it was, is the history of his vacillations. At a time when a man with an iron will, fully determined to overcome every obstacle, was needed for the throne of Austria-Hungary, Fate placed upon it an inexperienced, inconsistent youth. Charles I saw clearly where his duty lay. His grandfather, by having reigned too long, had brought untold misfortunes upon the peoples of Austria-Hungary. It was necessary, therefore, in the first place, completely to reverse his policy; abroad to endeavor to stop the War at the lowest possible cost to his country while at the same time being ready to make any sacrifice that might be necessary, and at home to reëstablish constitutional institutions so that they might at least function in their present form until he should feel sufficiently powerful to transform them. The constitution of the monarchy under Francis-Joseph was based upon the hegemony of the Germans and the Magyars, who were in the minority when compared with the nationalists of other races. It no longer harmonized with the actual political and social situation, and for this reason could not function. "The greatest thing that my government has done," said Count Stürghk, one day during the War, as he was passing the House of Parliament in Vienna, "is to have turned that building into a hospital!" The Emperor Charles also profited by the lesson to be learned from Austrian history, though not in the same way as his great-uncle. He saw that the country could not be ruled under traditional forms of government and that illegal methods led to revolution. He made a great effort to grasp the political possibilities and at the same time decided to summon Parliament and to transform the country. The reëstablishment of constitutional freedom entailed the loss of German and Magyar support; it meant seeking to unite the nationalities of the other races and depending upon them for support. This was why the young emperor surrounded himself with Slavs: Clau-Martinez as President of the Council in Austria, Prince Lobkowitz as Marshal at court, Count Polzer as head of the civil cabinet, and, in particular, Count Ottokar Czernin as Minister of Foreign Affairs. Count Czernin was a Czech, of that race of denationalized noblemen whose only patriotism consists in dynastic loyalty to their sovereign. It is remarkable that, among so many statesmen of Germanic race, the two who showed the greatest insight during the War should have been Slavs, Lichnowsky in Germany and Czernin in Austria. The latter had had an almost romantic friendship with the Archduke Francis-Ferdinand. For fifteen years these two men had not passed a single day without meeting or writing to each other. Count Czernin made the following severe criticism of his friend: "No one could hate or love better than he, but he hates considerably more often than he loves." But he also said that Francis-Ferdinand could not tolerate flatterers, or liars and it is a fact that Count Czernin prided himself upon being truthful. "It is obvious, M. Radeff," he remarked one day to the Bulgarian Minister, "that neither you nor I are professional diplomats. In diplomacy one must tell the truth occasionally and be able to lie. You never speak the truth and I never lie." Count Czernin was regarded as the man of the coming reign. When at the Archduke's request, his name was submitted to Francis-Joseph for nomination as member of the Herrenhaus, the aged emperor replied, "Is that the man who will be Minister for Foreign Affairs at my death? Yes, let us appoint him so that he may learn something." Upon the death of Francis-Ferdinand every one thought that Count Czernin's political life was over, for the relations between the archduke heir and his nephew were not such as would incline the latter to keep his uncle's advisers. He did so, however, and he carried out Francis-Ferdinand's intentions by summoning Count Czernin to the Ballplatz. This was not solely because he had not had time to choose his own advisers but particularly as evidence that he intended to adhere to a certain policy. What policy was this? It was federalism, something resembling the American Constitution with a monarchy at the head. Francis-Ferdinand had intended at his accession to refuse to take the oath of the Austrian and the Hungarian Constitutions, declaring that these texts were contradictory and that he could not take the oath of both. This refusal would have caused both constitutions to be revised from a federal standpoint. Francis-Ferdinand had been fully aware that the existing system hampered the cultural development of the majority of the populations in the monarchy, all those who were neither German nor Magyar, and forced them to place all their hopes in the destruction of the state. The only way to recapture their loyalty and patriotism was to provide them with the means of developing freely within Austria-Hungary. Had it been applied in time, this policy might have averted the Great War. When the Emperor Charles came to the throne it could still have facilitated the conclusion of peace with the Allies, for at that moment the various nationalities would doubtless have been satisfied with a reliable form of federalism and the Allies would not have continued fighting merely to offer them more. The appointment of Czernin is a proof of the Emperor Charles' political foresight. But such a policy was beset with countless difficulties and was fiercely resented both within the monarchy and abroad. The essential condition for its success would have been that Czernin could count upon unfailing energy and unshaken faithfulness on the part of the Emperor. This unfortunately was not the case and therein lies the reason why the policy failed. The Emperor Charles desired peace upon sentimental rather than upon political grounds. Weary of a war for which he was in no way responsible, the young ruler was, under his wife's influence, considerably more in sympathy with France and Italy than with Germany. He had the impression that he was supporting the wrong cause and had already given up all hope of victory when he came to the throne. Above all he realized, vaguely perhaps, that the only way to avoid revolution was to put an end to the peoples' sufferings as soon as possible. What the Emperor Charles, on the other hand, did not see sufficiently clearly was that whereas the different peoples wanted peace their leaders were not all equally willing to accept the conditions of peace. It thus came about that this emperor, entirely devoted to his people and striving to reestablish peace, was unpopular with the only two sections of the monarchy that counted, politically speaking, the Germans and the Magyars. Marie-Antoinette, Queen of France, died in days gone by, of having been surnamed the Austrian. In Vienna, immediately after the battle of Piave, it was almost openly said, "Die Welsche hat uns verraten!" "The Italian woman has betrayed us!" One day in the suburbs, there were cries of "Pfui Parma!" "Down with Parma!" as the Emperor went by. The people of the capital had never forgiven Charles for the act of mercy that marked his accession. Charles had realized that it was impossible to pursue a policy in favor of the nationalities while keeping their leaders in prison. He pardoned Kramarcz, Klofac and other Czech notables. The people saw in this action only a pardon granted to Czech soldiers, who at the beginning of the War had by deserting been the cause of the disaster of Rava-Ruska. The Emperor was, in their eyes, one who rewarded traitors. In Hungary, the Emperor was criticized for his preference for the Croats. The hate formerly inspired by the Archduke Francis-Ferdinand was transferred to his minister if not to him. This caused Count Czernin, then Minister in Bucharest, to remark, "Here I am abused because I represent Hungary and in Budapest because I betray her!" The Emperor Charles' policy was understood no better in the enemy countries. In a coalition mutual trust is the foundation of success. Whereas Austria was a less important enemy to France and England, she was Russia's and particularly Italy's chief enemy. Any move towards a separate peace could arouse the worst suspicions in Rome and Petrograd and threaten the unity of the coalition, its essential quality for victory. There was absolute loyalty among the Allies but a lack of communication. When Emperor Charles' letter proposing peace was received in Paris no one knew that the King of England had received a similar letter and that the English government was entirely ignorant of the letter addressed to Poincaré. In Paris the Austrian offer was refused because it did not mention the English colonies and in London because it was silent with regard to Alsace-Lorraine. Dire consequences of keeping a secret too well! In the second place, the Emperor Charles did not define his offers sufficiently clearly. If he had made radical reforms at home, had proclaimed federalism, had given proofs of good faith without negotiating, without asking for promises, without demanding compensating concessions, he would have made an impression upon the public opinion of the world. He would have removed one of the Allies' reasons for fighting; he would have inclined their thoughts toward peace. But faced with conditional offers for the future the Allies had grounds for wondering whether the Emperor really intended to fulfill his offers and more especially whether he would be strong enough to do so. As soon as the United States came into the War the peoples' right of self-determination became one of the Allies' main objects of the War. This principle was enthusiastically taken up by the Slav populations of the monarchy. Czech and Polish legions were organized on the Allied fronts. The official representatives of these peoples in the Allied countries, the Paderewskis, the Masaryks, the Bénès had more and more influence upon public opinion. Some time earlier they might perhaps have regarded federalism as a wonderful gift, but now their hopes and ambitions went further and they were no longer disposed to be content with federalism. The Emperor Charles' offer came too late. His autograph letter brought by Prince Sixte of Bourbon reached Paris on March 31st, 1917. It was intended for Briand, who had left office on March 20th. It fell into the hands of Ribot, whose one idea was to warn Italy. This he did at the Conference of Saint-Jean de Maurienne and wrecked the whole affair. Peace was lost by a fortnight. Things became worse when Clémenceau was made President of the Council. He believed only in military victory, in victory at the front. He was incapable of making a distinction between one German and another. In his eyes enemies were enemies. Moreover, Clémenceau had, before the War, been intimately connected with Austria through his family and was afraid that he might be suspected of not having completely severed these connections. When he heard that in a speech Czernin had referred to the peace negotiations as having been started by the Allies, he replied with his customary bluntness, "He lies!" and published the Emperor Charles' autographed letter. The effect of this outburst was to deliver the Emperor, bound hand and foot, into the hands of his formidable ally. Germany constituted the delicate point in Austria's peace policy. If she were to inform the German government of her intentions there was the danger that Germany would break off the negotiations or attempt to use them to her own advantage, thus arousing suspicion in the minds of the enemies who were to be won over. If Austria were not to inform Germany, if she were to seek a separate peace, which would have been an act of pure treachery towards her late ally, there was the danger that she might be found out and that Germany might treat her as an enemy. Both lines of action could be defended from the political point of view, but it was essential to choose between them and not to employ both methods at the same time. This neither the Emperor Charles nor Count Czernin understood and their lack of comprehension was their ruin. Count Czernin had frequently said that Austria-Hungary could not betray Germany. On all the fronts German and Austrian armies were inextricably mixed and, since Austria had often needed Germany's help, the command was everywhere in the hands of German officers. Financially Germany could ruin Austria at any moment, for her exchange depended wholly upon the Reichsbank. A separate peace would not have been peace for Austria, it would have meant a fresh war among allied regiments on the entire front. Austria could not negotiate without Germany's knowledge; but she could force her enemy's hand and oblige her to make peace. It was with this idea that Count Czernin made his famous speech in Budapest on October 3rd, 1917, in which he upheld President Wilson's principles with enthusiasm. He then went to Germany, showed himself to the people, ingratiated himself with them in order to obtain a personal triumph, so that he might then turn to the German government, and to the Staff Headquarters, saying, "Look! your people are with me. They want peace." Could such tactics succeed? This question must always remain unanswered, for Czernin did not have time to carry out his design. He could do nothing hurriedly and each move had to be kept secret. Great impatience was felt in court circles, where Count Czernin had many enemies. It was rumored that he had been bought by Germany, that he was pro-German, that he was working against all attempts to obtain peace, still worse, that he was betraying the Emperor by revealing his secret negotiations to the Germans. Urged by his wife and his advisers, Emperor Charles finally decided to intervene personally. In place of Count Czernin's diplomatic tactics he relied upon the weight of his own personal influence, and tried its effect in all directions. He sent his former tutor, Professor Lammasch, to Switzerland to interview a real or supposed friend of President Wilson. He sent Count Revetera to confer with Baron Armand. He commissioned the Pope to act as intermediary between him and the Allies. To crown all he summoned to Vienna his brother-in-law, Prince Sixte of Bourbon-Parma, an officer in the Belgian army, in order to give him a letter intended for Poincaré together with verbal instructions. I shall not easily forget the account Prince Sixte once gave me of this expedition. An imperial car met him at the Swiss frontier. He arrived at Schönbrunn in the middle of the night and was let into the palace by a hidden door so that he might escape all prying eyes. In a dimly lit room he found his sister, the Empress Zita, and his brother-in-law. They talked together for a long time, now of personal now of political matters, exchanging news of friends and sighing sadly from time to time. The position was serious. Political unrest at home, wild pacifism on the part of the Socialists, daring revolt of the Czechs, lack of understanding on the part of the Hungarians, Polish rising against Germany, terrible situation as regards food supplies, economic ruin and ever increasing supremacy of Germany. These two young rulers of thirty felt that they might at any moment be overwhelmed by revolution. Sadly in the lamplight they poured out their troubles to the beloved brother. Their future and that of their children and the dynasty depended upon the success of Prince Sixte's mission. The prince left for Paris, carrying with him the precious and indiscreet letter in which the Emperor of Austria-Hungary offered Alsace-Lorraine to France. He saw Poincaré but his mission failed. They had forgotten in Vienna that France was a republic. The idea that the personality of Prince Sixte of Bourbon and the personal good will of the Emperor of Austria could make the slightest impression upon France showed complete ignorance of the actual state of affairs. In Paris, where all public men are jealous of each other and keep mutual watch upon one another, no one dared take the responsibility of continuing the conversation. They were suspicious, they scented a trap, they thought that Germany might be behind the proposal. They dared not spread the idea of peace among the public for fear of appearing cowardly in the eyes of Italy or of offending England, and so forth. Nothing came of the affair, the only consequence being that when Clémenceau made it public, the Emperor Charles was seriously compromised in the eyes of Germany and was obliged to give her pledges. William II and Charles I had never been upon good terms with each other. The German Emperor had nothing but scorn for this presumptuous young man. It was he who prevented him, upon his succession, from taking the title of Charles VIII, which would have made him the successor of the emperors of the Holy Roman Empire. Charles chafed under his ally's patronizing manner, but being so much weaker he could only submit. A Pole once told the Emperor Charles that he should free himself from the Germans, his only enemies after the defeat of the Russians and Italians. The Emperor borrowed his notebook and wrote "Ich möchte schon, aber wie?" "I would if I could." This was why in 1917, Charles summoned Professor Lammasch and suggested that he should take office. Lammasch begged to be allowed to consider the matter, for, as he said, he could do nothing against Germany's all-powerful influence. The Emperor insisted. The whole world would have seen in his nomination a promise of freedom for the peoples in the empire and peace for its enemies. In the meanwhile the Emperor left for the German headquarters and upon his return informed Lammasch that he had reconsidered the matter. . . .
Germany's hold tightened when it became known that the Emperor Charles had attempted to conclude a separate peace and had failed. Austria-Hungary had no further hope of freeing herself from German supremacy. Charles had to give his word that he would make no other attempt; he had to send Austrian regiments to the French front, accept Germany's cooperation in Italy. After the victory of Caporetto he sent word to Paris that his intentions remained unchanged and that if he went to the front, it was against his will and only to please his enemies. The trap was closing. It was in these circumstances that Czernin represented his country, first at Brest-Litowsk then in Budapest. He, the man who wanted a conciliatory peace, a peace without annexations or indemnities, was obliged at Brest to put his signature to a peace that was a violent outrage of all his principles, a peace by which Russia lost fifty-three millions of inhabitants and 1,135,111 square kilometers of territory while Germany gained an area as large as Austria-Hungary---a peace that was the work of General Hoffmann and General Ludendorf. How, after that, could he attempt to convince the Allies of his good faith? Things became still worse at Bucharest. The German and Austrian conceptions of peace with Rumania were entirely opposed, for the two countries' interests were different. Austria wanted to conclude a conciliatory peace that would permit of friendliness later. It was Czernin who sent an emissary to King Ferdinand at Jassy promising him that he should keep his throne if he would sign the peace. Only one thing was of importance to Austria, it was to have a friendly Rumania on her frontiers. Germany wished to prevent this at all costs. For her, Rumania was one stage on the. way to the East, a country to be exploited economically on account of her corn and petrol wells. Germany wanted to subjugate Rumania and to attach her to herself. This she did, and it was in order to have a free hand in Rumania that she pretended to favor the Emperor Charles' aspirations to the Polish throne, a bill without any backing. Germany was supported by Hungary, who was afraid that too friendly relations with Rumania might be dangerous to the territorial integrity of the Crown of St. Stephen. More than that, she demanded a "rectification of the frontiers" between the two countries. This rectification was restricted, it is true, but nevertheless constituted a fresh attack upon the principles upon which Count Czernin's policy was based. Rumania had been conquered by Marshal Mackensen, was occupied by the German armies, and Hungary was in agreement with Germany. How could Count Czernin have resisted the force of such circumstances? Nevertheless he was blamed in Vienna for his failure. The Emperor's advisers and particularly those of the Empress, among whom were several of his personal enemies, seized the opportunity of doing him an ill turn. The old accusations were repeated: Czernin was pro-German, Czernin was a traitor. Charles I, who had never particularly cared for his minister, yielded to this pressure. It was during the conference at Bucharest that Count Czernin heard that he was to be dismissed. He then returned to Vienna and a violent scene took place between him and the Emperor. Each accused the other of having lied, and it was immediately after this interview, that, in revenge, Count Czernin committed the most reprehensible action of his whole career. He, who had known about all the Emperor Charles' peace negotiations and who had with his own hand added a marginal note to the letter to Poincaré, publicly exposed his sovereign and provided Clémenceau with the opportunity of an easy triumph. Count Czernin's retirement did no more to prevent the defeat of his country, revolution, and dismemberment than his presence. He was crushed by the disaster he had so fiercely striven to avert. He lost his emperor and, with him, his loyalty. He lost his country and his worldly possessions, which were in Czecho-Slovakia. He even lost the good opinion of his fellowmen, who never forgave him for not having been able to save the dynasty. It is said that one of the rites of certain ancient religions required that a man should be immured when laying the foundations of a new city. Count Czernin was the sacrificial victim entombed in the City of To-morrow. 1. See "The Intimate Papers of Colonel House."